A model for the pitch is a central part of any source model of speech. It corresponds to the oscillations of the vocal folds and is usually modelled with a long-term predictor. 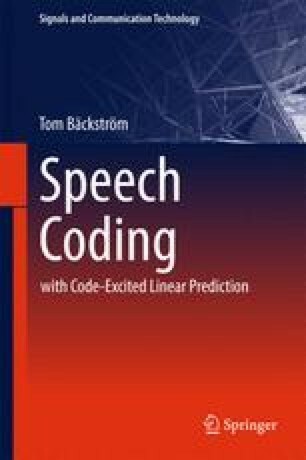 In speech codecs it is generally implemented as an adaptive vector codebook, where the residual of the linear predictive filter is modelled using the past residual. The model parameters are therefore the lag and gain.